Roth Marz Partnership Was Selected To By Mother Teresa Academy To Assist In Design of Parking Lot Renovations, New Out Door Classroom, Greenhouse, and new playground. 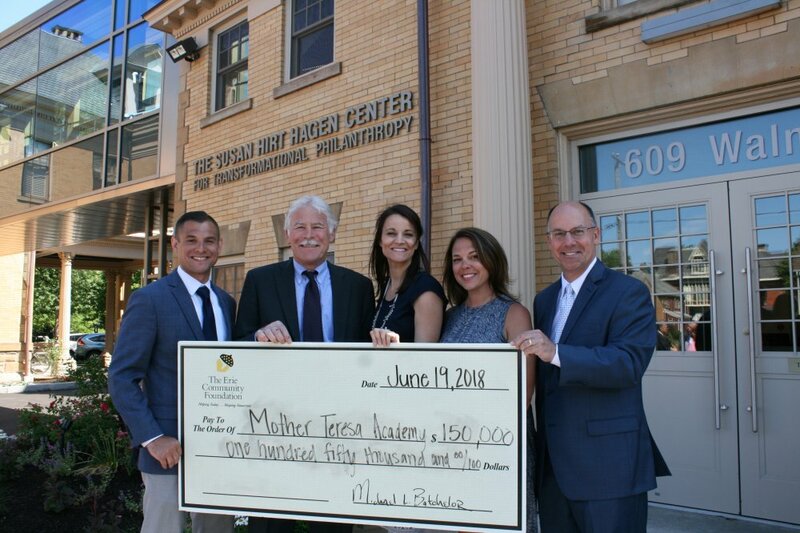 Mother Teresa Academy was one of ten local, non-profit organizations, awarded a grant from the Erie Community Foundation through their Transformational Philanthropy 2.0 initiative. The basis of the Foundation’s grant program promotes continuous improvement in the quality of life in Erie County that offer a high probability of transformational and sustainable community change focusing on Erie’s youth, neighborhoods, and downtown revitalization. Our school will be using the awarded grant to launch our Renewal & Re-commitment renovation project. Renovations will include the addition of an outdoor classroom and greenhouse, located on the 11th street side of the school for educational improvement. An updated playground area, located on the 10th street side of the school for healthy lifestyle improvement. Final renovations will include a new parking lot, located on the 10th street side of our building, for a safer and greener area for downtown community improvement. The projected start date for our renovations is August 1st with its completion in November, 2018.